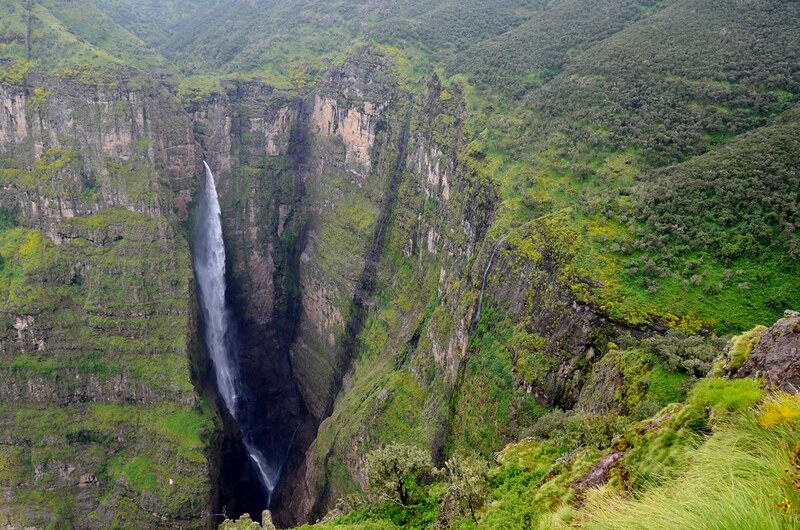 Ethiopia is a landlocked country within the eastern region of the African continent called the “Horn of Africa”. 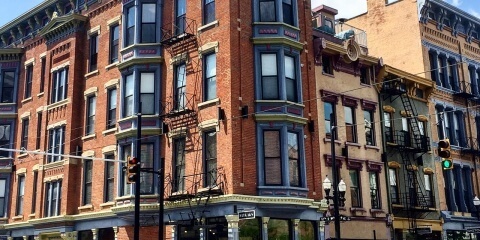 It is one of the oldest countries in existence and boasts a rich history, full of significant historical moments- including the discovery of coffee. 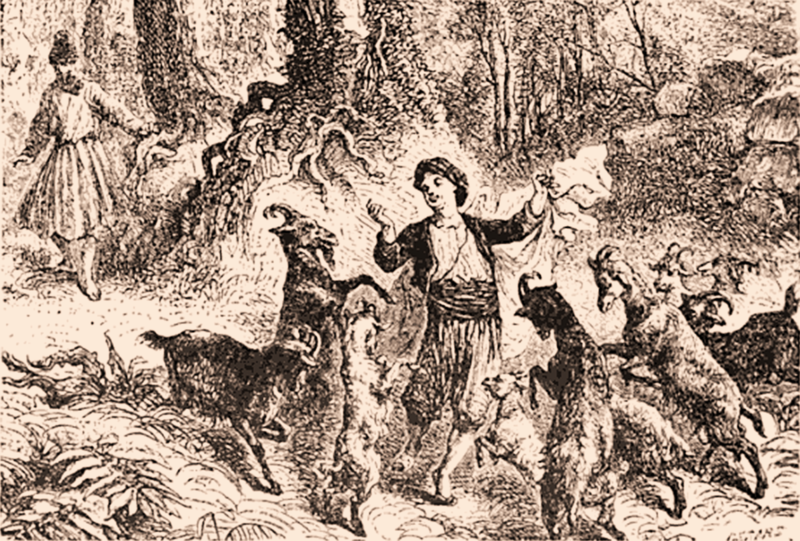 Around the year 850, there was a goatherd by the name of Kaldi. It is said that he is the one responsible for discovering the now infamous plant and introducing it to Abyssenian culture. At his wife’s behest, Kaldi took the berries to some Monks in a monastery near Lake Tana. Within moments, the chamber was filled with the smell of roasting coffee. This brought other Monks out to investigate what was making the indelible aroma. Intrigued, the curious Monks raked the coffee beans from the fire and crushed them in order to put out the molten embers. The head Monk ordered hot water be poured over the now powdered coffee and…the rest is history, as they say. The Monks stayed up all night drinking this new concoction, vowing to always drink it in order to stay awake for their nocturnal devotions. News of this event spread, and soon coffee was consumed throughout the country. 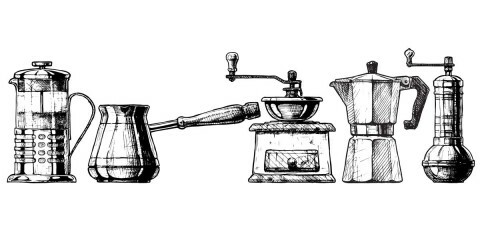 Coffee was introduced to the trade world in 1454 when the Mufti of Aden visited Ethiopia and sampled the beverage. Claiming that the drink had cured him of some affliction, his approval carried so much weight amongst his men that soon word of mouth spread like wildfire- with these men introducing coffee to ports in Yemen and Mecca- and coffee was soon on the menu everywhere. Linguists have determined that the earliest reference of coffee in Ethiopia is in Arabic documents dating back to the year 900. The documents refer to a strange new drink called “buna” that was being consumed throughout the country; “buna” is Oromiyan (a language spoken in Ethiopia) for coffee. Arabica coffee has always grown wild in the hills of the Kaffa and Buno districts, so many coffee farms were established in those areas. 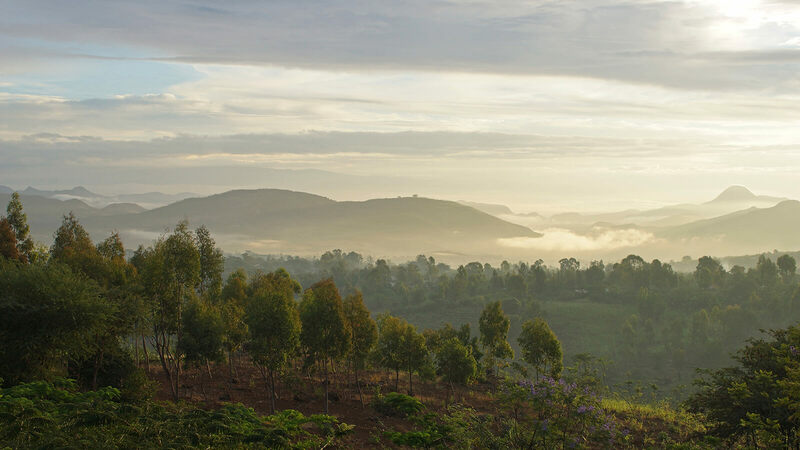 Today, 98% of the Ethiopian coffee farmers are small scale. Because coffee still grows wild in many areas, farmers harvest their crops utilizing 4 different systems: forest coffee, semi-forest coffee, garden coffee, and plantation coffee. Although facing a fair amount of hardship in other areas (like fair wages for coffee growers, for example), the country is able to continually produce over 200,000 tons of coffee per year; its coffee industry is responsible for employing over 15 million people! Ethiopia is ranked #5 in the World’s Top Coffee Producers. You saw this infamous national park in northeast Ethiopia while planning your trip and thought it would be a good place to start your journey. After seeing all the positive reviews and reading more about what you might encounter on a trek, you’re sold. While you’re waiting for the tour to start, you wander around the Park office. You grab a brochure to busy yourself; you learn that the land was formed by a powerful volcanic eruption in the Tertiary Oligocene-Miocene period. You look out the window to marvel at the beyond ancient magnificence. While reading that there are actual towns with citizens living on this preserve, your tour guide arrives. After some preliminary instructions and safety precautions, it’s time to go! You want to reach your campground before dark, don’t you? 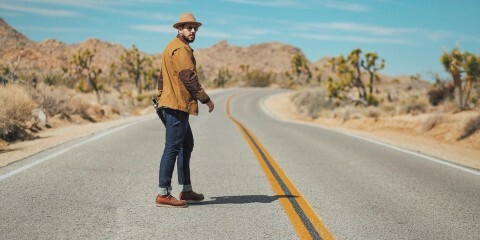 You and three other tour mates follow your tour guide through human-made paths in the highlands, listening to him spout off numerous facts for a couple hours before stopping at an overlook with a particularly stellar view. Your group decides to rest here- snacking and re-hydrating- while your tour guide explains the rest of your trek to the campgrounds. As you continue on your hot and sweaty way, you see what looks like a large goat in the distance. You ask your tour guide what that is, pointing in its direction. The guide is happy you spotted that particular animal, explaining that it is a Walya ibex– an important national symbol for Ethiopia. “Like a state bird in the U.S.?” you ask; “Exactly”, says your tour guide. You keep walking as the tour guide explains that the animal is sadly endangered due to poaching and deforestation; happily, those that live on the National Park grounds, however, are quite protected as hunting or destroying the habitat in any way is prohibited and punishable by law. You’re silently thankful for that as you take a deep drink of water. Your group keeps a steady pace, stopping every now and then to marvel at some exotic creature (you’re excited that you got to see a Simen Fox– it was so cute!) or the breathtaking views that you came across, and arrive at your camp just as the sun is setting. After setting up tents and various camping equipment, you have a nice night with your group. You enjoy sitting around a fire with a scrumptious meal provided by your tour guide, all sharing stories of your travels and experiences. A couple in the group share that they are on their honeymoon and pass around some champagne that they brought with them; you and your other group members toast to the newlyweds. You sip the cool bubbly drink, raising your head to the heavens, grateful for this experience. After a night sleeping under the stars, you wake up the next morning ready to take on the next adventure! You hike back to the Park office and head off to Lalibela. You remember how much you liked walking through the ancient ruins of Pembranan Temple in Indonesia and tailored a search just for sightseeing ruins in Ethiopia. 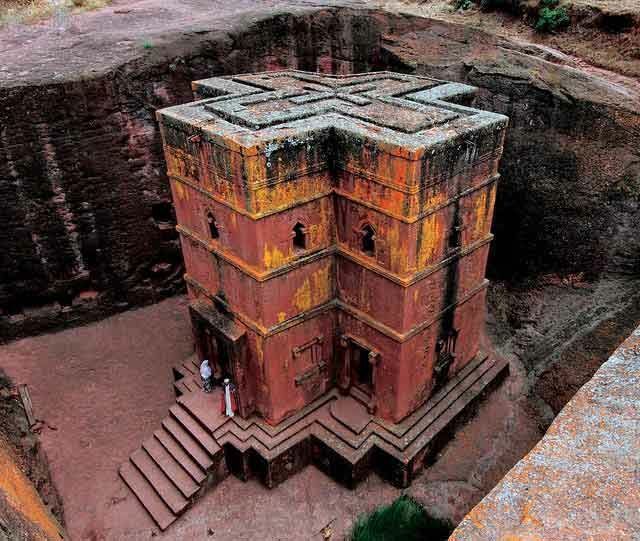 It didn’t take long to come across one that looked interesting- the Rock-Hewn Churches of Lalibela. That is where you go next. The 13th century labyrinthian structures are a sight to behold as soon as you approach. 11 magnificent weather-worn stone structures stand in deep holes in the earth, complete with winding cave tunnels and underground churches. Known historically as the “New Jerusalem”, many devoted Christians still make religious pilgrimages to this site even today. You overhear a nearby tour guide explaining that a “new Jerusalem” was the goal of King Lalibela, the ruler responsible for constructing the Churches, because Christians had been prohibited from journeying to the Holy Land by Muslims in the 12th century. You tag along nonchalantly behind the tour group as the guide goes on to explain that there are two main clusters of churches with the sole exception of the 11th church, Biete Ghiorgis (House of St. George), which is the only one that stands apart from the others. It is however, still connected to the others by cave passages beneath the surface. All 11 churches were carved out of living stone rather than built with the traditional stone and mortar system. You walk away from the ruins more enlightened, happy to have seen such a wondrous place. You are staying in Ethiopia’s capital city, Addis Ababa- which also happens to be Africa’s diplomatic capital. It is just a short trip away from the Churches of Lalibela. You charter a taxi from there to your hotel in the middle of the city. Once you check in, you head up to your room to settle in and take a quick nap before you go on a guided city tour later that afternoon. A few hours later, you are waiting downstairs for the tour guide to pick you up. Once she arrives, you get into a van with 2 fellow tour group members and you are off! The first stop on the tour is one of the most significant structures in the city, the Holy Trinity Cathedral. 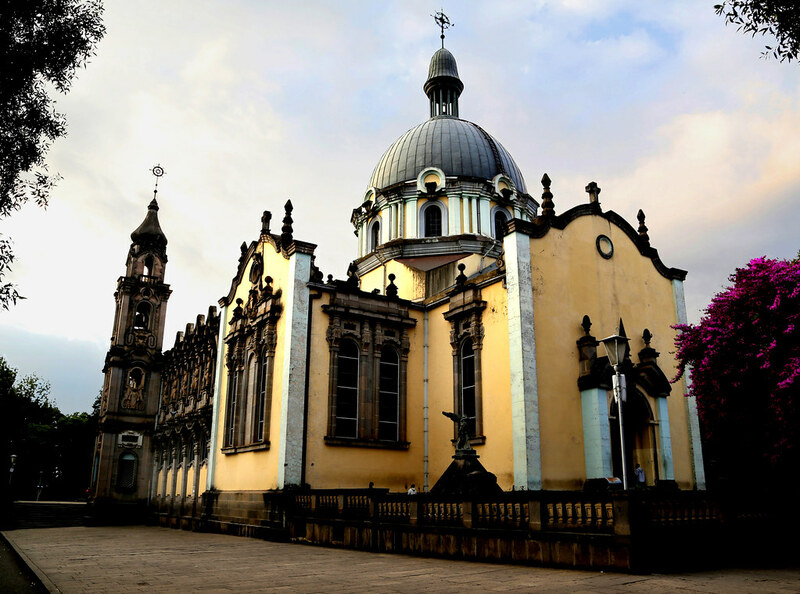 This is the second most important worship place in Ethiopia (the first being Old Church of St. Mary of Zion). Its architecture is extraordinary. You gawk at the building as you get out of the van and head inside. Once inside you see two ornate tombs made out of granite; your guide explains that this site is important because it is the final resting place of Emperor Haile Selassie and his Empress, Menen Asfaw, the tombs’ occupants. After visiting an artifact museum in the back of the Cathedral, admiring some magnificent wall murals on the way, you head off to your next stop on the tour: the National Museum of Ethiopia. You remember learning about “Lucy“, endearingly called the “Grandmother of Humanity” by some, in your archaeology classes and are excited to see the oldest remains of a hominid up close. Although you understand why, you are somewhat disappointed to find out that only casts of Lucy are displayed- the real remains are kept tucked away in the museum’s archives. You spend the rest of your time at the paleontological exhibit as you always had a distant desire to be one. Before long, it’s time to visit the last stop on the tour: Addis Mercato– Africa’s largest open-air marketplace. Your tour guide parks the van a little ways down as the traffic can get a bit heavy; it is much easier to walk. Once inside the marketplace, you take your time walking down the miles long aisle of vendors, purchasing souvenirs here and there for yourself and various family members. The atmosphere is somewhat chaotic, but you are happy to be in the middle of it. You leave, heading back to the van, with a bunch of gifts and interesting stories to tell once you get home.